Retired investor Christopher Barton says he is not now a ‘net investor’ as he isn’t earning, but he is trying to ensure his investments remain as tax efficient as possible. To this end he is selling some of his ISA investments and repurchasing them via his SIPP, using the dividend payment this pension generates. Barton also makes sure he makes full use of the personal allowance. Currently his investments are split between his SIPP - which accounts for around 50% of his portfolio, then an ISA and a rented property, both of which account for around 25% of his investments. This is on top of the house that he and his wife own. Within his SIPP and ISA Barton mainly invests in direct shareholdings. Like many other investors of his age, he says his first forays into the stock market was buying British Gas shares when it was privatised in 1986. This clearly whet his appetite for stock market investing and he has been a keen investor since. When it comes to selecting shares Barton says that his main priority is to invest in companies that pay decent dividends. This is certainly reflected in some of his more recent successful investments. These include Unilever (ULVR), BAE Systems (BA. )and AstraZeneca (AZN). He also says a holding in Verizon (VZ) - which he acquired by way of a split from Vodafone - has proved profitable in recent years. 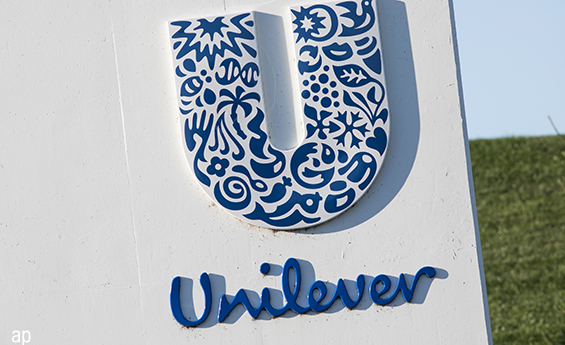 Fast moving consumer goods company Unilever, has been a solid performer for investors. It has delivered annualised total returns of more than 14% over both three and five years, and over a 10-year time horizon has delivered total annualised returns in excess of 12%, according to Morningstar. Analyst Philip Gorham points out that while sales growth for 2018 was slightly softer, the company delivered strong profit margin performance. Defence and aerospace firm BAE Systems is currently trading below its fair value estimate of 630p, according to Morningstar analysts, and has a narrow moat, or slender competitive advantage. In the past five years shareholders in BAE Systems have enjoyed annualised total returns of 8.26%, comfortably outperforming returns from the FTSE100 over the same period, according to Morningstar figures. AstraZeneca has been another good long-term performer for investors. Over the past three years, for example, shareholders have seen annualised total returns of 14.31%, while over a 10-year time frame, the annualised total returns have been 10.72% - again in both cases this has outperformed the FTSE 100 over the same time period. However, he points out that the recent massive patent losses on gastrointestinal drug Nexium and cholesterol reducer Crestor will weigh on the company's near-term growth prospects. But not all of Barton’s holdings have delivered quite such buoyant returns. Barton says this has included an investment in Provident Financial (PFG), whose share price has tumbled in recent years. Investors in this company has seen total annualised losses of 31% over the past three years. Going further back investments in Alkane Energy and Baltimore Technologies proved to be “fairly disastrous”. He points out that this is part and parcel of investing. One of the lessons he has learned from these less successful investments has been not to take tips from work colleagues, but to do more research on prospective buys instead. Both his SIPP and ISA are managed through AJ Bell. Despite being retired now, with one grown-up child, Barton says he is not too concerned about current political or economic challenges in the market. This is not the main reason he has invested in this sector though, it’s because many of these companies tend to be reliable dividend payers.